Much thought is given by most serious haunters about light. What color should I use? Can I see the prop or scene? Would this work better if It was dim here? What thought is given to the shadow? What of that place left unlit because something stands between it and the light source? Is it just a "shadow"? Can it be something more? Wouldn't it be interesting to experiment with tombstones in a yard rather than blocks on a wall? A simple 90 degree change and the concept becomes haunt-worthy! Imagine your cemetery, all arranged and lit so that everyone sees the tombstones, but there, on the wall (which maybe you have previously tried to hide) is the shadow of a reclining corpse. Or...? Yamashita is not alone. 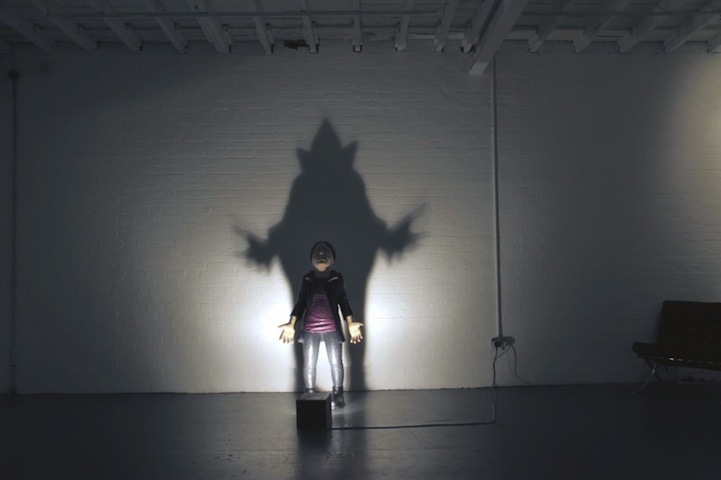 Turkish artist Yasam Sasmazer has experimented with lighting seemingly ordinary statues in a way that creates a somewhat more sinister shadow. She calls her exhibit of such sculptures "Illuminated Darkness". What simple changes in lighting might give your already creepy props and even more unnerving shadow? Tim Noble and Sue Webster sculpt their shadows using seemingly random piles of garbage. While many of their actual sculptures focus on the banal, the actual process is interesting. It looks like a lot of work, but how interesting to arrange a scene so that seemingly unrelated objects cast a single and spooky shadow! 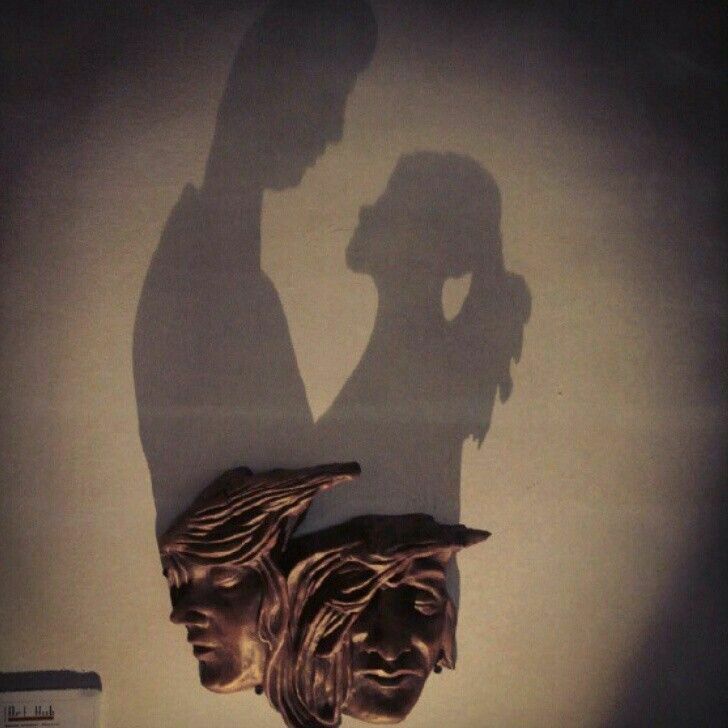 Artists Bassam Al Selawi and Maysoon Masalha use sculpted pieces of wood to create their shadows. Their sculptures might be seen as art even without the lighting, but it's the light that reveals the true nature of the piece. I can imagine a scene where such sculptures are in a room that is well lit when people enter, but in the next second, all the lights go out. In the second after that, just the specific spotlights come on, casting all manner of unexpected shadows on the walls. I thought these artists and their creations were interesting enough to share. Who knows? maybe they will inspire some haunter to add a previously unconsidered layer to creep out the ToTs!